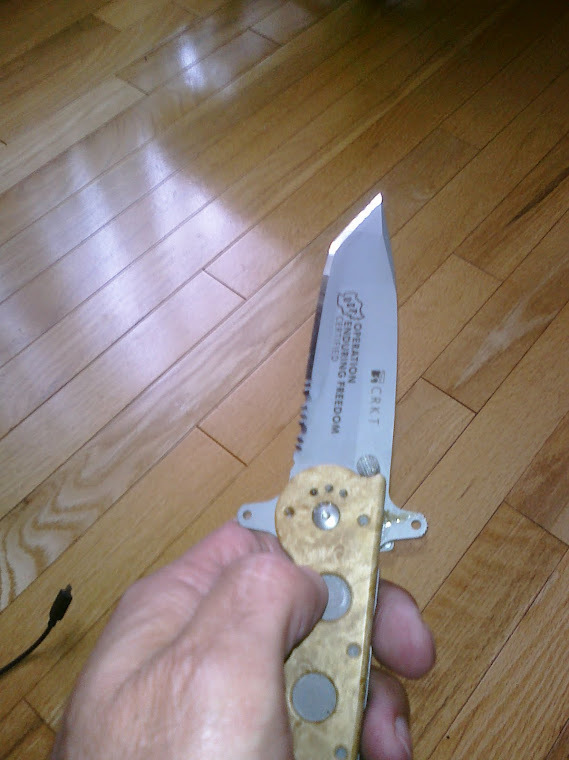 This is a really cool Benchmade folding knife that I sharpened for my brother. 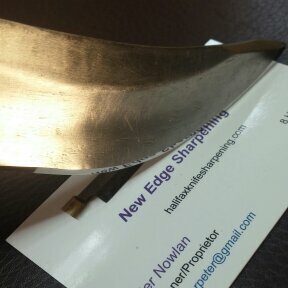 The reason the tape is shown is that I used the picture on a forum to illustrate how I protect the blade while sharpening on the Edge Pro. I used to use blue painters tape, masking tape but for years I was never thrilled with it because it would slip off the blade as it got wet. I use a lot of water when I sharpen, especially if I am polishing the bevel . This tape that I got from the post office is fantastic, it will not come off. 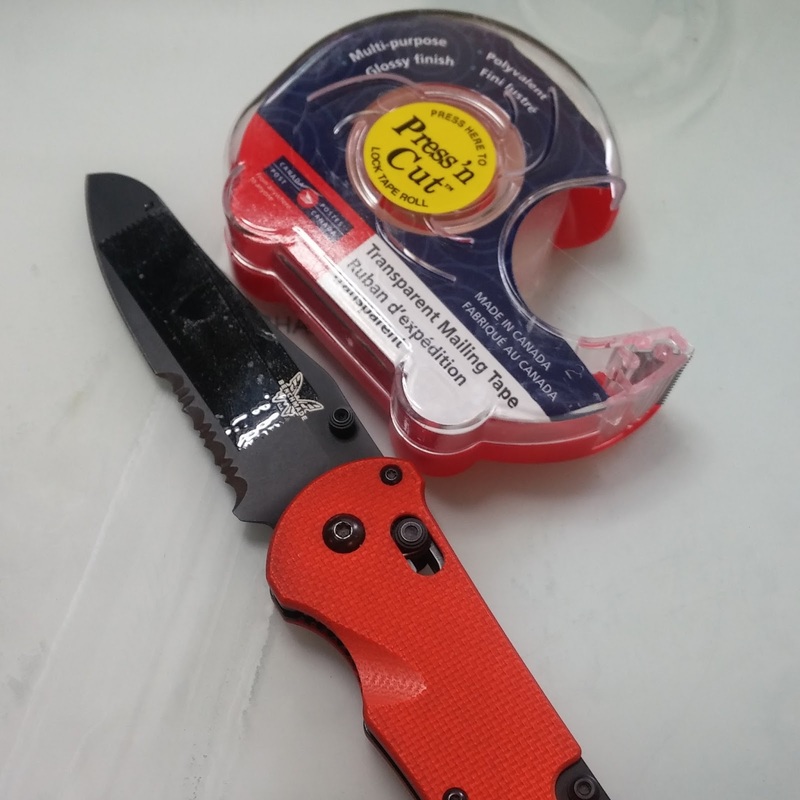 The Edge Pro can very quickly scratch the blade as the grit from stones rests in the water suspension that sits on the blade table so it I just tape the blade to prevent it getting scratched. Now a lot of knives I get are already in rough shape so I don't worry about that too much. 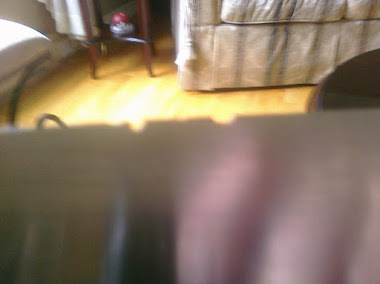 A scratch in the blade is pretty much there for good so the last thing I want to do is any cosmetic damage. 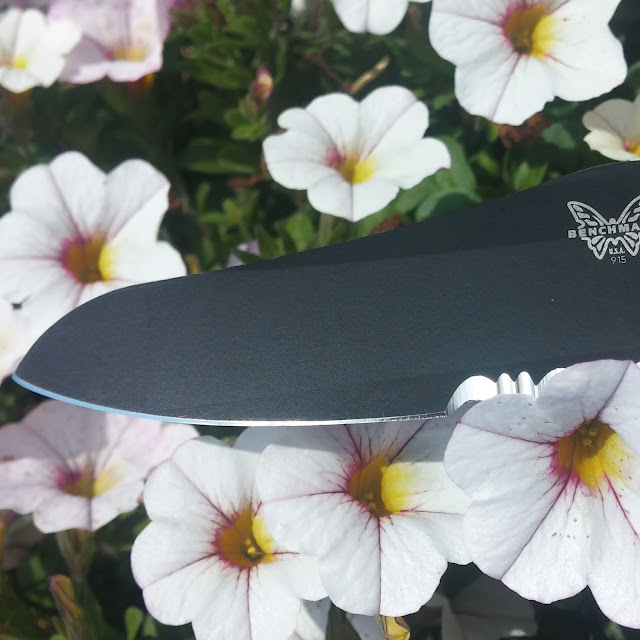 Especially in a blade like the one above. I often use the Edge pro for this type knife, I just find it easier and it excels at creating not only a very sharp edge but one that is visually appealing. 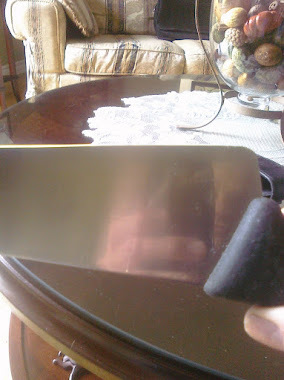 I finished the knife with a Shapton Pro 15,000 grit stone. Now the knife in this picture is very very old, it is hand made by "Grandad" and handed down to the Grandson who brought it to me. The edge was in rough shape and imperfect, well it was handmade, pretty cool actually. He had two like this and I did one on the Edge Pro Professional and the other freehand. The freehand process is a little faster and creates more of a convex edge which is very good for this type of knife, it adds strength to the edge. My next video is going to be on sharpening the tip of a knife. Thanks for visiting my Blog, I am very grateful.